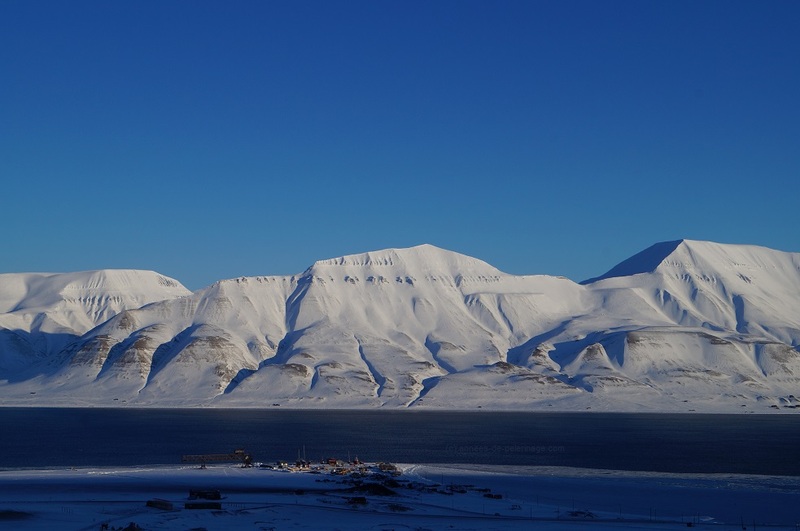 Wondering what to do in Svalbard in winter or summer? Here are ten amazing attractions! Spitsbergen is the biggest island of the Svalbard archipelago and one of the coldest places on earth regular tourism is possible. 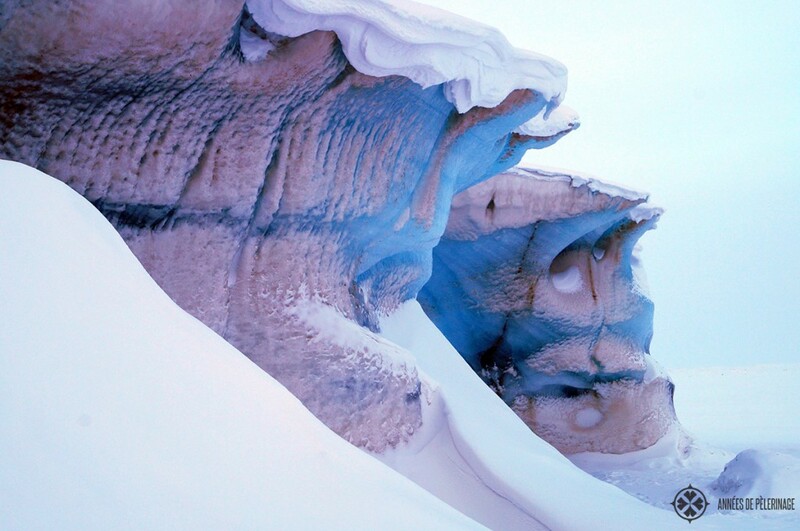 Temperatures below minus 30° Celsius are common during the wintertime so close to the North Pole. It also lies in one of the most remote corners of the earth where everything from internet connection to watching TV becomes a challenge. Politically it is associated with Norway, but technically speaking it is just an unincorporated area above the Arctic circle. It is thus the ideal place for anyone who truly wants to experience an invigorating respite from their day to day stress and tiresome chores, as well as for all people who want to be one with nature and forget about all the demands of our modern computer civilization. Here is my guide to 10 spectacular things to do in Svalbard / Spitsbergen. 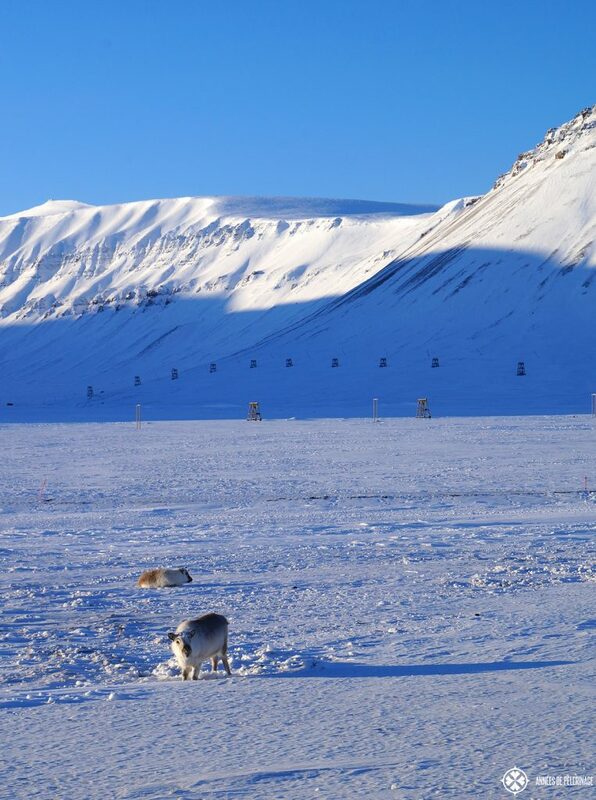 When people think of Spitsbergen only two things come to their minds: Snow and polar bears. While the first thing is quite trivial to cover (and in fact unlikely to avoid) the latter is almost impossible to achieve. That should not let you keep from trying. There is nothing more majestic that spotting the biggest carnivore on this planet in its natural habitat. You will need a good guide and you will need to be at the right spot at the right time and you will need a lot of luck! In Longyearbyen, there are a couple of resident guides that offer special snowmobile tours to the known polar bear habitats. Be aware that polar bears migrate over the course of the year – your guide will know where to be when to have the highest chance of spotting. I found the best season to actually see a polar bear is between March and April right on the edge of pack ice. Cruises will usually pick July when most of the pack ice melted away and the habitat of the bears is greatly reduced (but also very far out and not accessible on land). In recent years (and with the increasingly melting Ice) boat trips along the rugged fjords of Svalbard are actually (and sadly so) the easier way to spot polar bears. Read my Travel Guide: Polar bear watching in Spitsbergen for more detailed information. There are hardly any cars on Spitsbergen. The reason is quite easy: few motors are fit enough to start at the bone-freezing temperatures so common on the island. Also, Spitsbergen is snow-covered most of the year and there is basically just one major road. All traffic shifted to snowmobiles. Everyone has at least one parked in front of their doors. 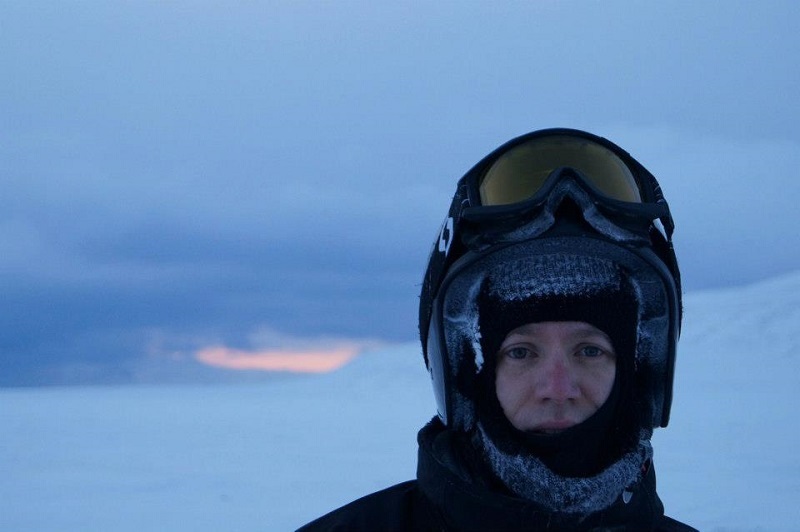 If you really want to experience what Svalbard is like, you should definitely go and ride one. 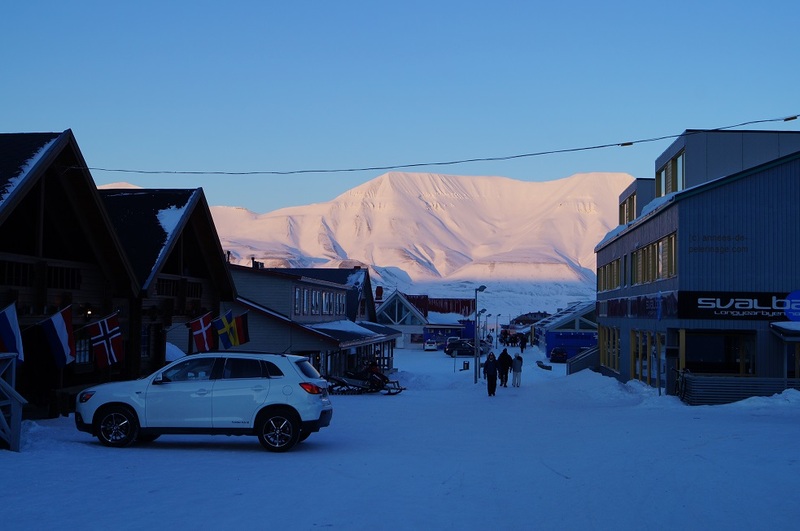 To be frank: In winter, without a snowmobile, you won’t be able to go anywhere except on a short stroll around the main settlement Longyearbyen. 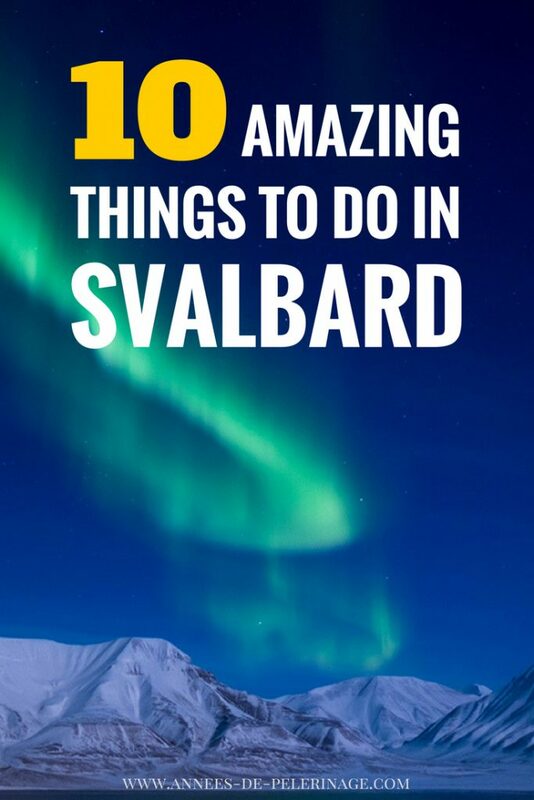 So actually there is no way around the first item on my list of things to do in Svalbard. If you really want to experience what Svalbard is like, you should definitely go and ride one. To be frank: In winter, without a snowmobile, you won’t be able to go anywhere except on a short stroll around the main settlement Longyearbyen. So actually there is no way around the first item on my list of things to do in Svalbard. Since Spitsbergen is loosely associated with Norway you will need a valid driver’s license to be able to drive one. Most snowmobiles allow for at least one fellow passenger on a seat behind the driver. While this is certainly not as much fun as driving yourself, there are other disadvantages to being a passenger as well. Snowmobiles actually go pretty fast (around 60km/h) and at double digit minus degrees things will get very chilly very fast. You will be provided with special gear and clothing but it will still be cold, especially around the face. For the driver that is not so much a problem since the exhaust of the snowmobile is re-directed to warm the feet and the handles are being warmed as well. 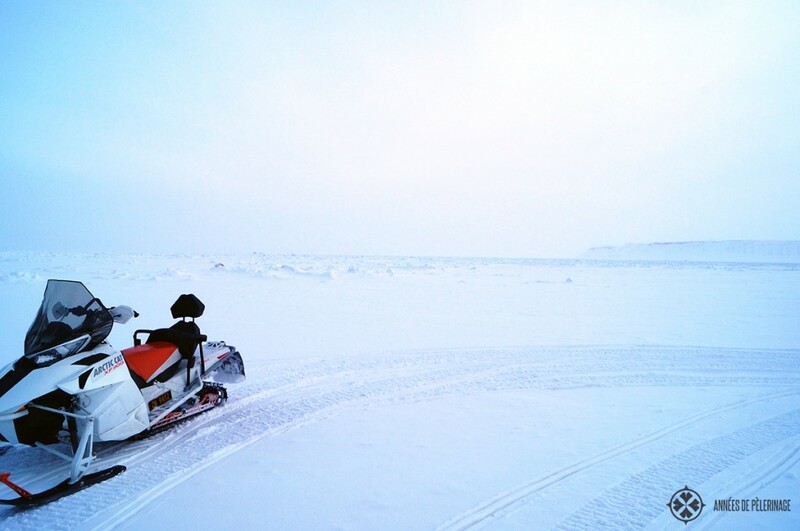 There are no such feats for the fellow passengers on most snowmobiles. Also if you want to go anywhere meaningful you will drive quite a long time (around two to four hours!). Looking past the driver directly in front of you will offer you only a limited vista. So in essence: Do drive yourself or at least take turns driving and share the fun! Also, if you want to go anywhere meaningful you will drive quite a long time (around two to four hours!). Looking past the driver directly in front of you will offer you only a limited vista. So in essence: Do drive yourself or at least take turns driving and share the fun! Western tourists will most likely have their hotel or lodge in Longyearbyen – the biggest permanent settlement on Spitsbergen. During the heyday of the coal mining on the island, another settlement was way more prominent, though: Barentsburg. 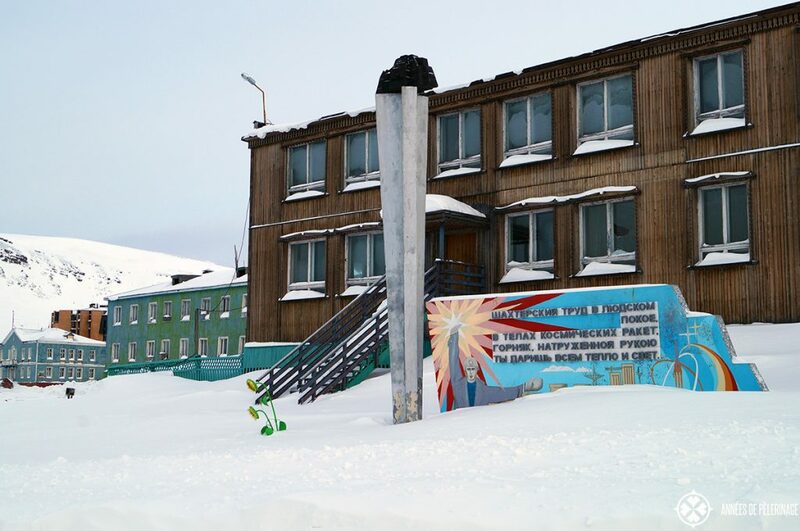 Barentsburg is built around a coal mine and run by Russia. Around 1.500 permanent settlers used to live there once. These days, however, it is mostly abandoned, with only a skeleton force remaining to assert the Russians claim on Spitsbergen. Due to the preserving cold temperature, the settlement still looks somewhat untouched and has its very own Russian charm. You will even find some remnants from the communist era there. In summer you can reach it via boat, while in winter Barentsburg is accessible only via snowmobile. Regular tours are being offered and there is a snow road being maintained. Pyramiden is another old settlement (and in fact one the northernmost city in the world, only surpassed by Ny-Alesund in Svalbard) that can be visited. 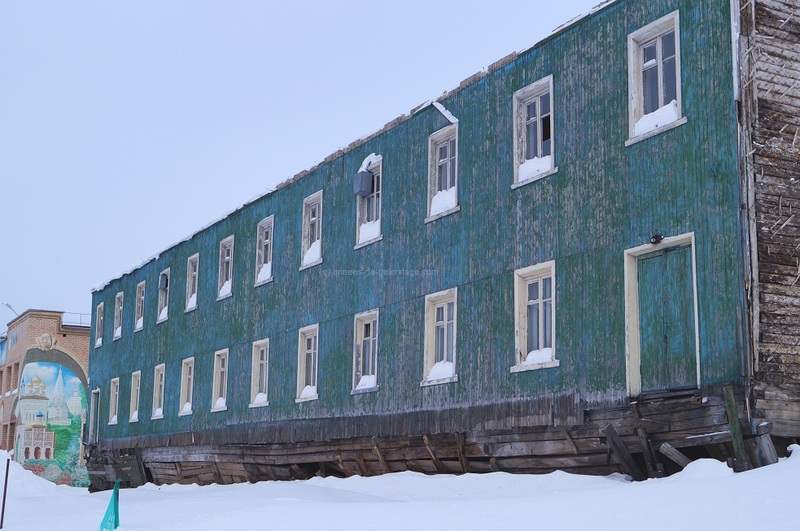 Though unlike Barentsburg, it is totally abandoned now. 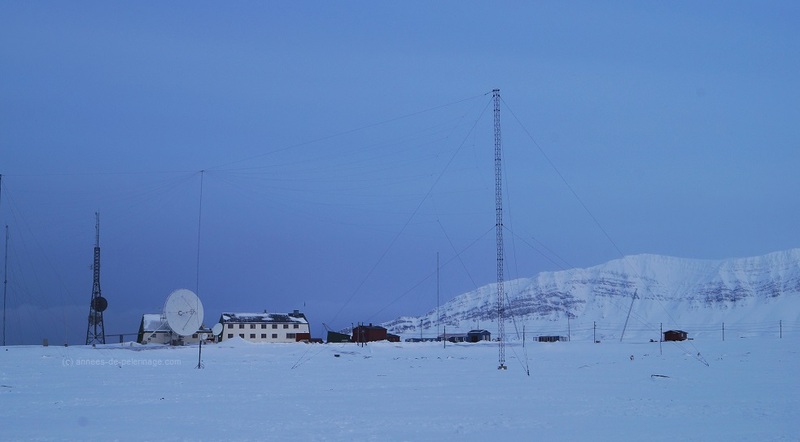 On the most western parts of the lower half of Spitsbergen (called Kapp Linné), a remote radio station is located. In the times before modern fiber optic cables and satellite phones, Isfjord Radio was the only connection to the mainland. These days you will find a boutique hotel there which also offers food and drinks for day tourists. The hotel is actually the most opulent in Spitsbergen, despite its remoteness (official website of Isfjord Radio). If you plan a longer itinerary on Spitsbergen, do consider to spend a night or two at this place. The comfort and stylishness will really surprise you (especially compared to what is offered in Longyearbyen in terms of accommodations). In summer there is an official boat going out daily. In winter you can only get there by snowmobile. I recommend combining the trip with a visit to Barentsburg since the Russian coal settlement is actual along the way and no detour is needed. In winter the one-way trip will take roughly 4 hours, though. So be prepared to spend a very exhausting day on the snowmobile to get there. The impressive glacial landscape you will see is well worth it, though! My urgent recommendation: But it on your list of things to do in Spitsbergen! Snowmobiles may be the fastest, safest and easiest way to get anywhere in Spitsbergen, but it’s by no means the traditional way. In the ages before motorized transports, dog sleds pulled by huskies proofed to be the only reliable means of transport. So, in my opinion, no stay in Spitsbergen should do without at least one dog sleigh ride. 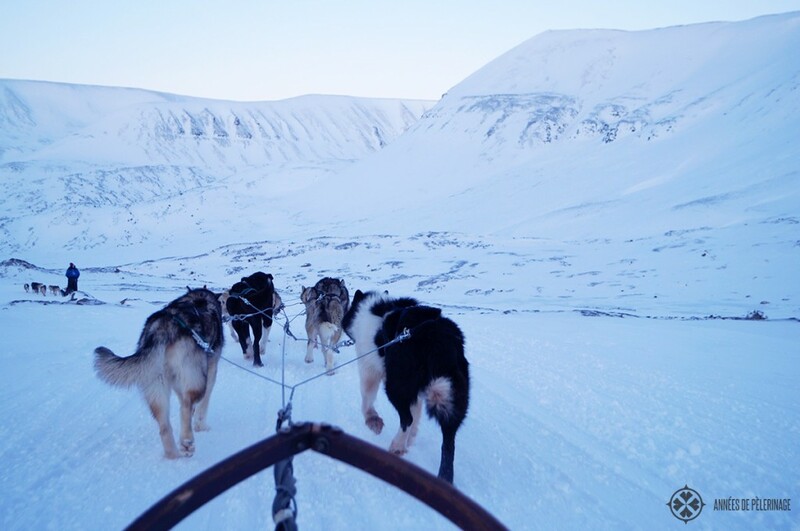 Most long-term settlers of Spitsbergen have at least one pen with huskies to run their sleighs – for the sake of the tradition, for the fun of it and for the love of those beautiful animals. 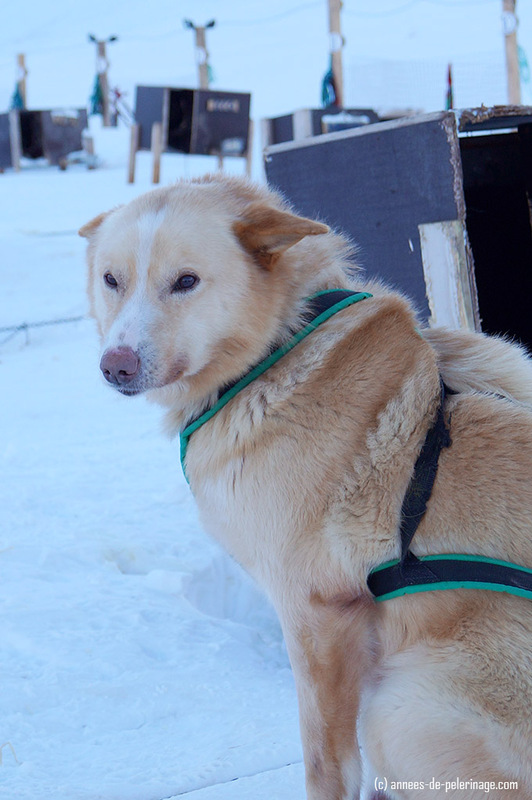 Some of them offer special workshops where you will be introduced to the animals and the basics of being a musher. Ultimately you will be able to steer your own sleigh with your own dogs – though a guide will always be close by to ensure nothing happens (with you or the dogs). It will be cold, it will be fun and it will be another reason to visit Spitsbergen in winter. Svalbard has an amazing wildlife. There are just so many birds, whales, walruses..and let’s not forget the arctic fox… around Svalbard. During the summer months, you will have the unique opportunity to go on a boat trip into the fjords to see nature’s bounty! It is an amazing feat of engineering. Hidden deep below the permafrost ground on an elevated hill over Longyearbyen you will find the Global Seed Vault (sometimes also called Svalbard seed vault). Seeds from every corner of the world are permanently stored here. Stored to retrieve in times of need, it is a modern Noah’s arch. Definitely, a must see in Spitsbergen! Another attraction (though not really accessible by standard tourism) are the coal mines on Spitsbergen. These actually produce some of the best-graded coal (and thus in high demand among chemists) on this planet. You will see quite a couple of abandoned coal mines very close to Longyearbyen. 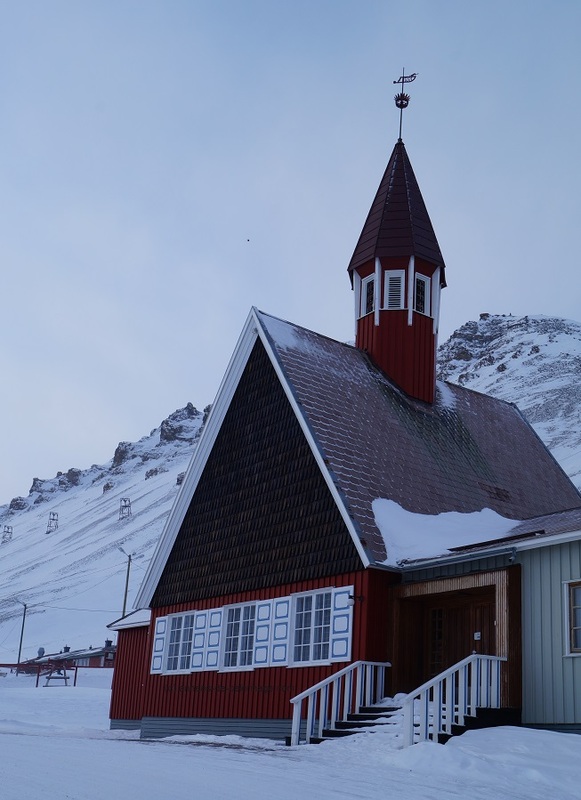 Longyearbyen is nothing people would ordinary call a city – more like a small town. You will find a big grocery store, you will find a couple of restaurants and bars and some basic entertainment center. Since Spitsbergen became relatively popular in recent years you will find quite a lot of shops as well – most specialized on souvenirs or clothing suited for the low temperatures of the island and Svalbard tourism. So please mark down on your list of what to do in Svalbard “Shopping in Longyearbyen”. You will find a lot of curiosities, fur items, and some handcrafts. Please don’t get the impression, however, that for shopping in Longyearbyen you should bring along an extra suitcase to pack all your purchases. The shopping tour is more about seeing how the residents still cope with the severe climate – if you find a nice souvenir that should be counted as a bonus. Spitsbergen is home to the northmost university in the world. A lot of researchers come here to study – glaciology and other obvious stuff like that. 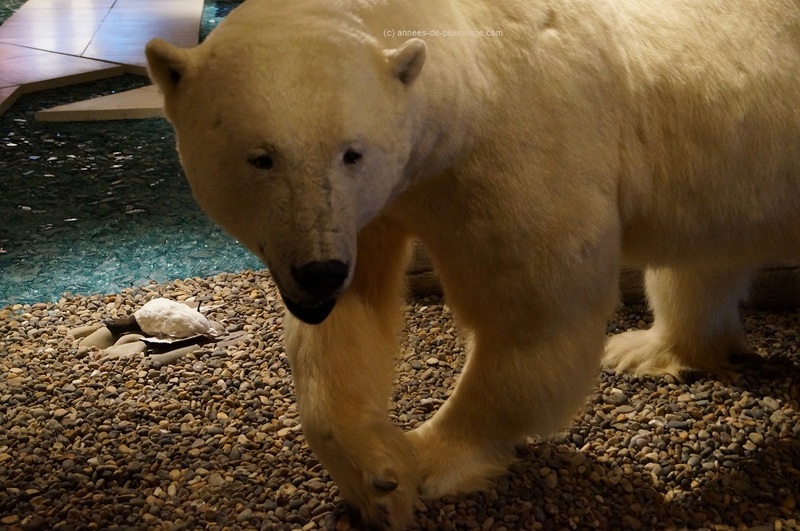 In the basement of the huge building, you will find the Svalbard Museum. There you can learn all about the history of the island and its nature. The museum is actually well curated and is by no means boring or decrepit. It is well worth a visit in my opinion, especially if you didn’t get to see a polar bear on your excursions outside. The museum has quite a big taxidermy department. I recommend you to end your stroll to Longyearbyen at the Svalbard Museum since it is located at the very end of what passes as the main street of the town. 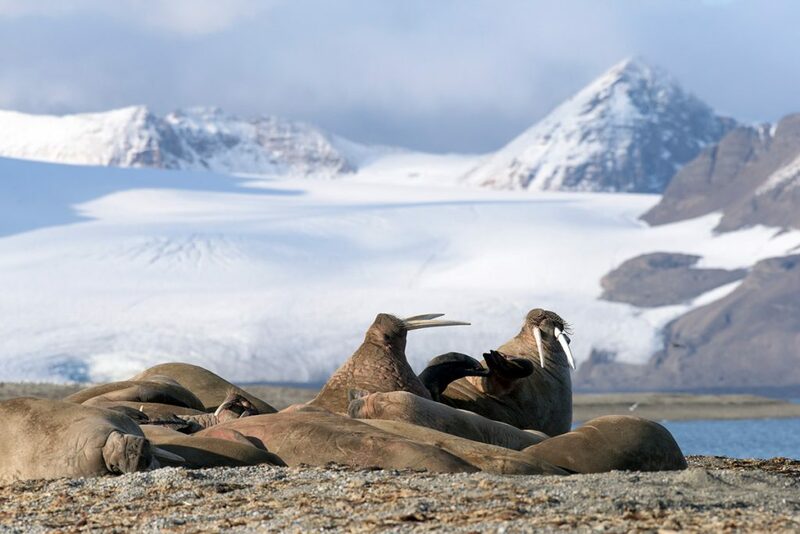 Thus ends my list of things to do in Spitsbergen: If you are wondering whether there are other attractions you should not miss out, do not hesitate to leave a comment below! Oh, and don’t forget to pin my little Svalbard travel guide for later! I went there once with my dad who is very fit and in his mid fifties. He managed very well. It will be a cold place, but if you plan to go in September things will be considerably warm (around the freezing point more or less). Also hotels will be quite spartan. But if you are fit, do go! Staying 4 nights will be fine, i think. In September dog sledding isn’t an option, but you hinted that isn’t really what you are interested in. There are over a hundred species of birds nesting on Spitsbergen, so you will have a fun time. Seeing a polar bear is somewhat unlikely as you would have to take a rather long boat trip to the pack ice. I am not sure if you can fit that into 3 days. Of course some birds can be seen from the harbor area (which is just a short walk), but to get the real deal you will have to get out. Longyerbyen really is not that spectacular. Thanks Norman. Would we have to book day trips by boat in advance, or could we wait until we arrive? well both works I guess. But i’d ask through your hotel what they can offer. There are a couple of indepentant agencies as well. Things are not cheap in Spitsbergen and I guess asking beforehand has the advantage of avoiding unpleasant financial surprises ;-) (and obviously comparing different offers). First of all I’d search for a good birding guide to Spitsbergen. They usually have the locations of the best areas and then choose a tour. Small as Longyearbyen is, you might just be able to get your individual tours :) The locals are usually very knowledgeable about where to go. We are visiting Longyearbyen in July. I’m aware Polar bear is difficult to see, but I need to be somewhere where there is a chance. I’m having difficulty in finding someone or a company that isn’t a cruise as I’ve booked a hotel now for a week. I also read above that I may find someone to take us out for a birding day which I’ll research thanks. Do you know of anyone or any company that may be able to help in both of these please? If you are visiting Longyearbyen the absolutly only way to see polar bears would be by cruise. 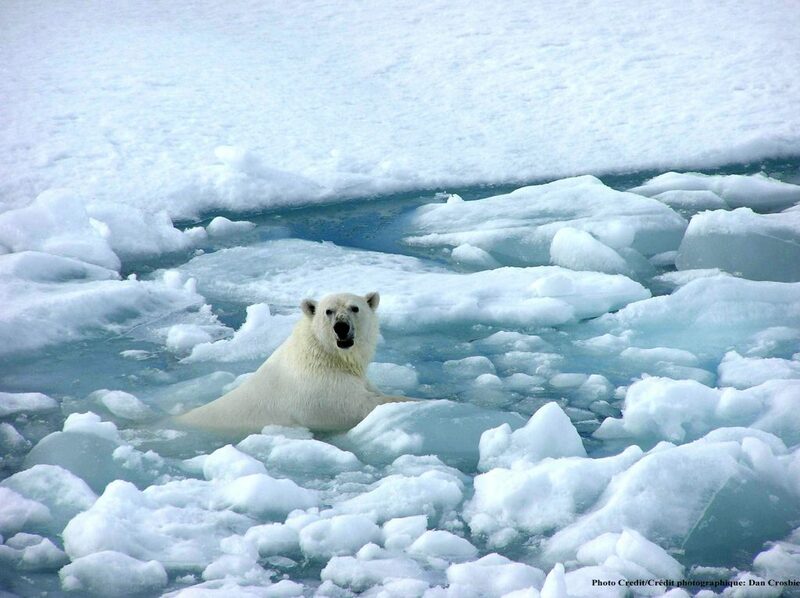 90 Percent of the polar bears will on the rapidly receeding pack ice (which is not located in the bay around Longyearbyen). Some of them will be one land. However traffic is very much limited on land in summer and I am really not sure how you could possible reach the east cost (where the polar bears are easiest accessible). So a long day cruise might get you somewhere near the polar bear habitat, but actually you would have to go on a longer trip. They do offer these, but obviously you’d have to cancel your hotel. I’d recommend you to try arranging everything through your hotel, they will be able to help you along. Its not like there are 200 tour companies to choose from. More like 3 or 4. Hi Norman any advice on things to do in December during the polar nights? My main goal is to see the northern lights. Do I need to book a tour or will I be able to see it in town? 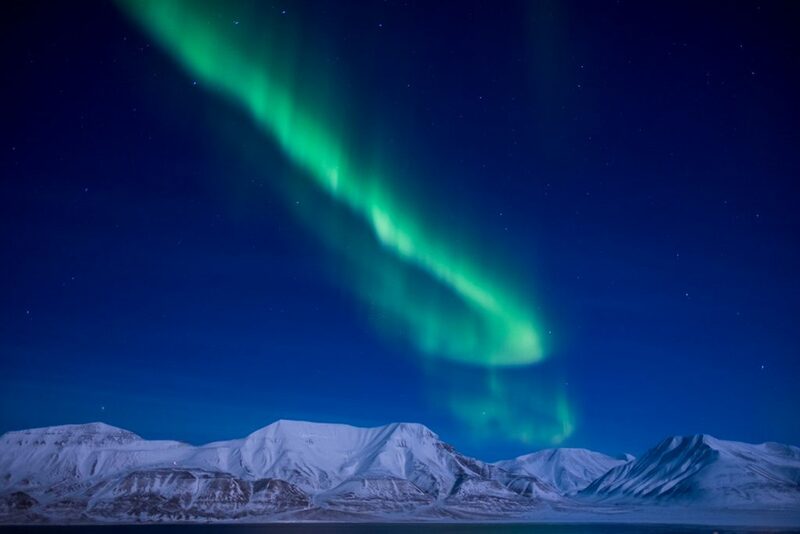 if you want to see the northern lights, you should not be going to Spitsbergen. Spitsbergen is actually too high up north to see them consistently. Tromsø or Alta are so much better to see them. There are tours, though offered in Longyerbyen and it is not impossible to see them. You would probably have to get outside the town a bit. December will be very, very dark on Svalbard – meaning not much to do. I was reading through your answers felt a bit of dissapointment since we will be in Longyearbyen in the second week of Decembre and will be staying there for a ((dark)) week. I somehow red on this northern light website that chances are high to see the aurora because it’s dark and nights can be bright. Any truth to that?what about boat or cruise excursions to spot the Polar bear in the area? And do you know if there is a possibility of seeing or soing a whale? Many thanks in advance. I’m doing my own research and I’m starting to think It will be better to visit Tromsø aswell to enhance the chances. there is the chance to see the northern light, but generally speaking chances are way higher in the lower regions..meaning Iceland, Tromso etc. 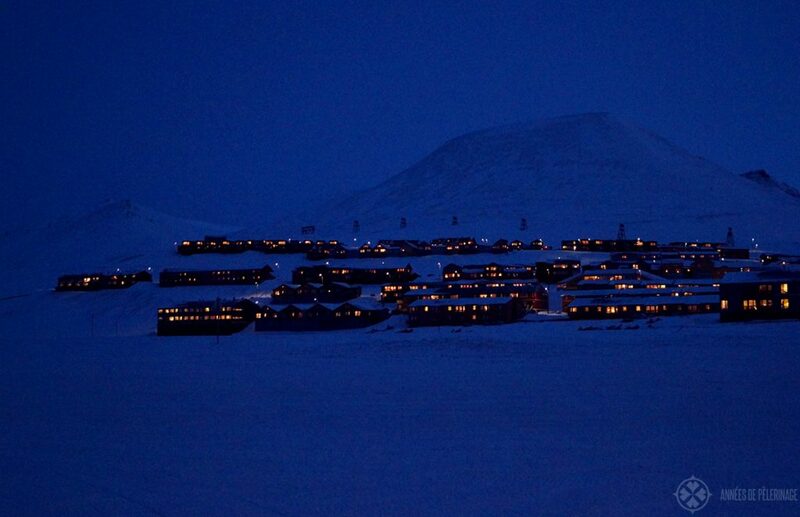 Besides, Longyearbyen itself is not that dark at all. It is quite the big settlement that emits a lot of light – especially during the long arctic night. As for a day cruise etc…I don’t think that makes a lot of sense in December as most of the waters surrounding Spitsbergen should be frozen already. Besides you are not going to see a polar bear in the dark. Quite frankly I’d say December is the worst time to visit Spitsbergen. It mostly will be dark and cold…and activities will be severely limited. Hello, I’m planning to visit svalbard around 29 jan- 3rd feb 2017. May I know what are the activities available during that time? Thank you for the wonderous knowledge quest! My wife and I plan to attend the island this year in the middle of the darkest of days. Our goal is to independently of those boring guides, go under ice snorkeling! This will be a TRUE challenge, since the wife and I are well over 60. We plan to cut a large hole in the ice, utilizing the extra large chain saw. We will then disrobe, put on our snorkles and fins and take the plunge! We are not the most experienced at under ice snorkeling, however, my wife has done the “polar plunge” on new years day in icy Oshkosh, WI. She ensures that the cold is more a mindover matter type of deal. I’m sure that ice snorkeling is seen by the locals as a dangerous and illegal activity, which is why we have elected to do this on our very own, without the prying eyes of the local guides. We will be sure to bring powerful water resistant flashlights for our exploration pu3rposes. Thank you for your wonderful advice and suggestive article. Your writings have completely convinced us to “Go For It!” I have already purchased flight tickets and am currently searching for hotels accommodations. Although I am not the most capable swimmer, my wife has shown me how to use a snorkel in our neighbors in ground pool, so I am nearly ready to take the svalgard plunge! I also have used a chain saw to cut trees, so cutting through the pack ice should be easy goings. The one thing I know is this; we will bring many electric blankets to warm our bodies after the invigorating plunge and deep under ice dive! Thanks again for the article, I don’t think I would have bought the flight tickets had I not read it! Cheers my friend! Now I must find an underwater camera, with a flash, of course ? while I appreciated the fact that my article inspired you to travel, I strongly recommend you to contact a professional before your adventures. The waters in Svalbard are considerably colder than in Wisconsin. At minus 30 degrees and polar bears around the pack ice, your adventure might take an unexpected and, alas, final turn. Joseph, Plz don’t do IT without an authorised guide!!!!!!!! 8 people die from stupid things like this on Svalbard every year!!!!!!! I am a little worried on reading your article, as we are booked, and have paid already, a considerable sum to holiday in Longyearbyen in the last week of November 2017 to see the Northern lights. I picked that week as the moon will be down, and so the days will be darkest. We are booked on a dog sled ride, and “Dinner under the Northern Lights” and a Snowcat ride (hoping there will be snow on the ground by then for these activities ?). I am hoping that the whole experience of the polar night will be an unforgettable one, but, please can you advise other pursuits for a wife and husband mid fifties, and our two 19/20 yr old daughters, that can occupy us during the long nights. We have an evening stop-off at Tromso on the way up, so possibly a chance to see the lights there, but I was hoping that 5 days in Svalbard would be able to supply at least 1 sighting of them. I wish I’d read your article before I’d booked, would probably gone to Tromso for the lights, and travelled to Svalbard in the late spring to see the wildlife. Unfortunately I don’t think we’ll be able to afford another trip, ever, so please advise the way to make the best of our time. worry not, there is a chance to see the northern lights. But it is always only a chance, especially as it’s quite dark. Hey Norman , your blog is really informative. My girlfriend and I plan to get to longyearbyen mid September . The two of us aren’t exactly in the hay day of our professional lives and budget is obviously a constraint. What are some of the less expensive day trips and experiences we could utilise ? well….Norway isn’t exactly a cheap place, so I dunno how to answer that. If you want to leave the town, you need a guide with a gun (to ward of polar bears). So, I’d try to stick to bigger group tours as these tend to be cheaper. Thanks for all the informations above, I will be in Svalbard between 29 jan-30 jan and I would like to learn that what possible activities I can attend and can I visit the seed vault inside? Also, I will only stay Longyearbyen and is it possible to see northern lights if I find a place away from the city lights? 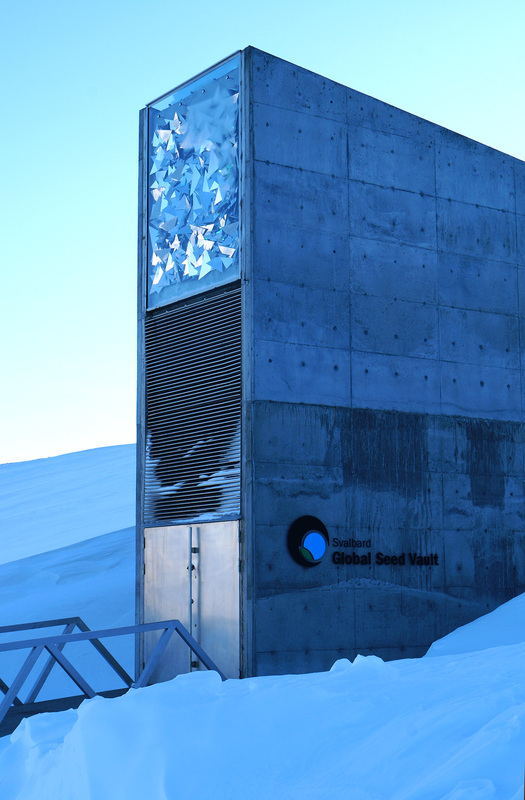 it is sadly not possible to see the inside of the seed vault, except you are a researcher. 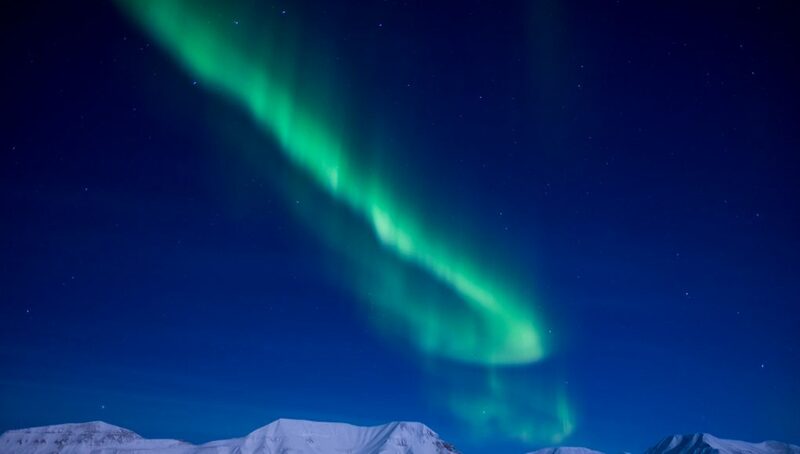 As for the northern lights: that is certainly possible to see in January. There are a couple of tour operators who will get you out of the city. Know then, that Svalbard is actually a tiny tack too far up north to see the northern lights consistently. Tromsö in Norway would be a better place, or Iceland. But it is certainly possible. My husband and I are are still in planning phase for Tromsö and Svalbard trip in March 3rd or 4th week, 2018. 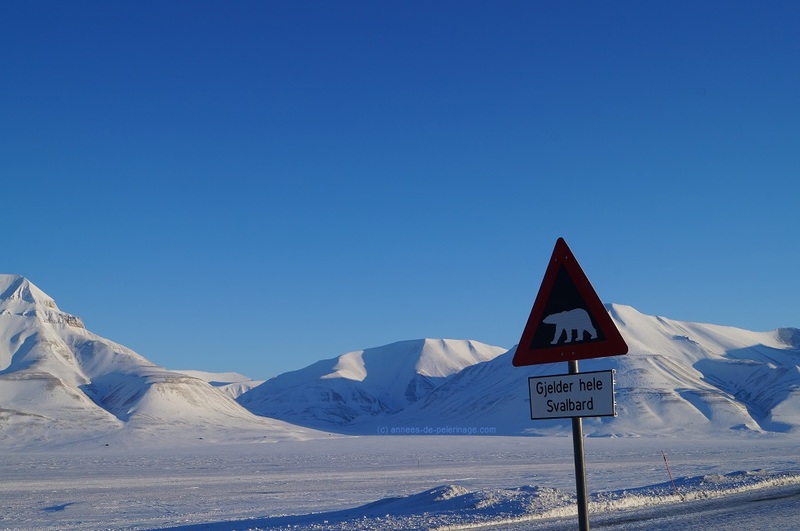 We want to do snowmobile trips to remote areas in Svalbard but confused which route would be best(Towards north, or south west coast or east coast), when contacted tourist guide, he suggested that we could bump into polar bear anywhere if we are in luck. And snowmobile trips that we want to do are 2 nights and 3 days. Again we are bit confused should we consider day trips to remote places as other trip is bit expensive? Do you recommend any particular route or any packages that you think it suits us? Since there are skiing trips in Svalbard, we would also like to give it a shot on that. Could we please contact you on mail ID to get more information on what exact trips tourist guide has given us? please allow for some time when asking questions on Xmas Eve and don’t send them to my through all channels. It adds to my workload and I am running this blog alongside working full time. That being said, I am no travel agents and cannot recommend you anything personally. Polar bears will be out on the pack ice in March. This means you will have to get to the east. A multi-day-tour will increase your chances to see one by a lot (even though chances are still slim). Thanks Norman. I looked at the link you shared, it’s helpful. I couldn’t see my comments on this blog (not sure if it appears only after you accept it which I was not aware of it at that time) so sent a message on your FB page but intention was not to rush you. Sorry for that. Hei! I would like to travel in May to Svalbard. What are the activities I can do and which company do you recommend to get a guide etc. I am.a student planning to visit Longyearbyen/Spitsbergen in Feb 2019. What activities can I find? What would you recommend for me to do as a solo traveller ? I was wondering if you think it would be possible to go to svalbard with a small child (three years) or totally impossible? Well…I’d actually say there are better places. A 3-year old has no place on a raft to explore the marine life along the coast. I personally wouldn’t recommend visiting below 14ish.. Traveling the artic is no joke, even in summer. Trips will usually take the whole day, and it’s not like there are comfortable rest-areas in between. If you limit your range a lot, you may have some fun. In summer it’s potentially doable, in winter an absolute no-go.